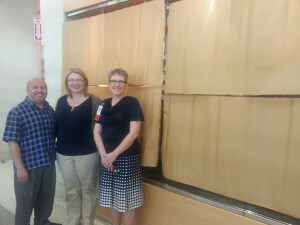 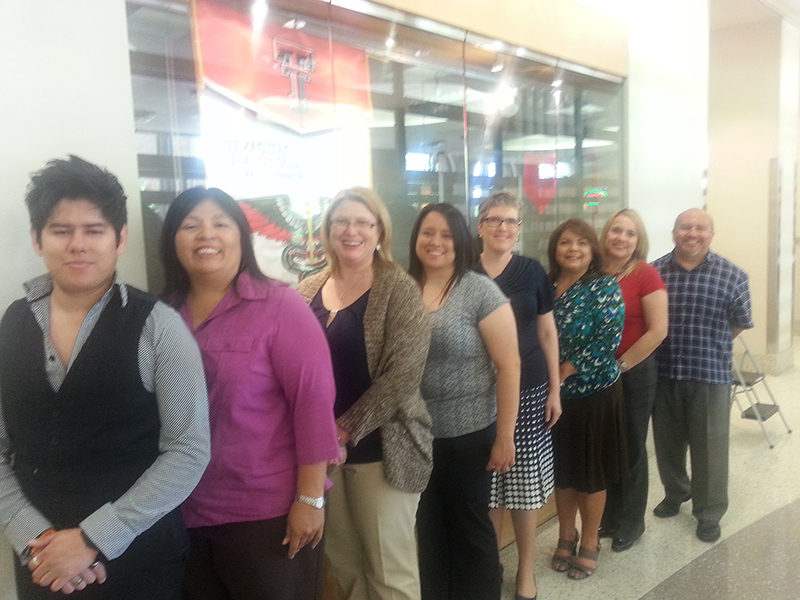 The Office of Student Affairs, TTUHSC Paul L. Foster School of Medicine unveiled their new commencement glass display case on the first floor of the Medical Education Building (MEB) this week. 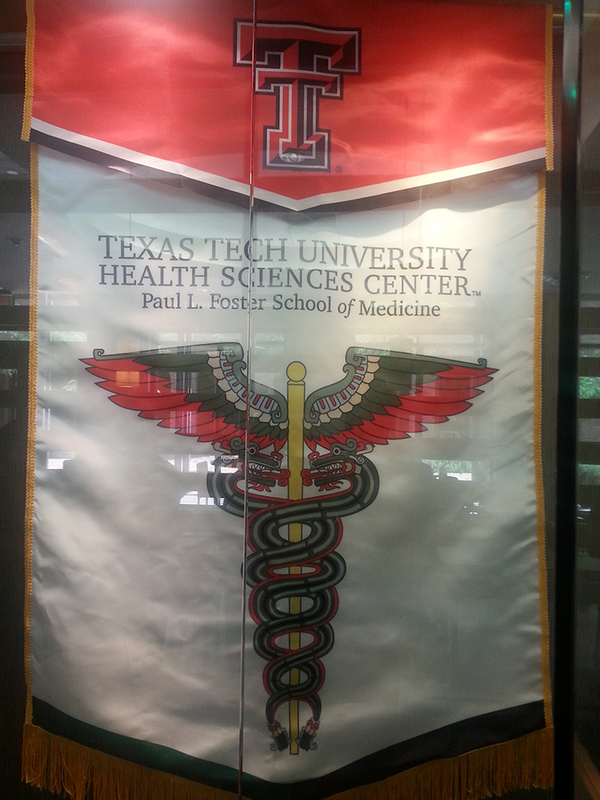 The display case holds the Paul L. Foster School of Medicine commencement banner which bears a caduceus designed especially for the medical school by Warren Love of the Office of Communications and Marketing, as well as the gold headed cane presented to the graduating student chosen for the Gold Headed Cane Award. 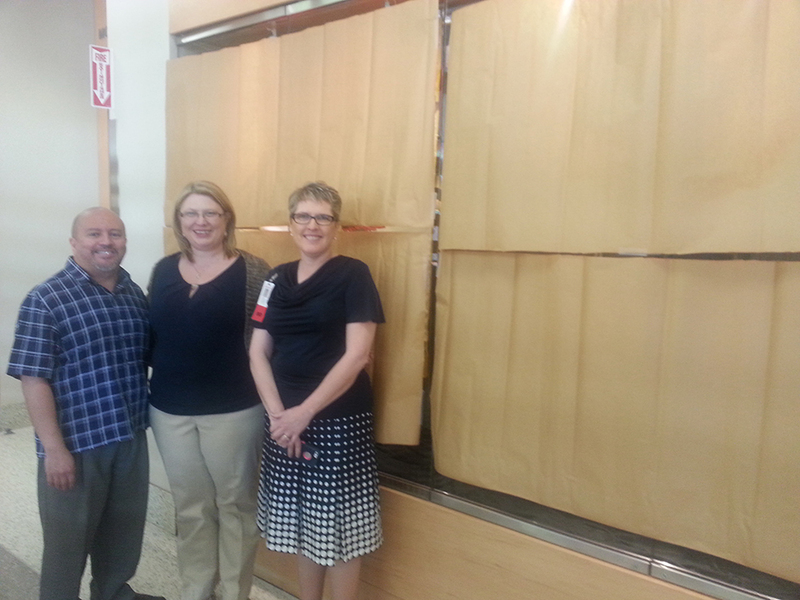 The cane was carved and donated by Herb Janssen, Ph.D., of the Department of Medical Education.